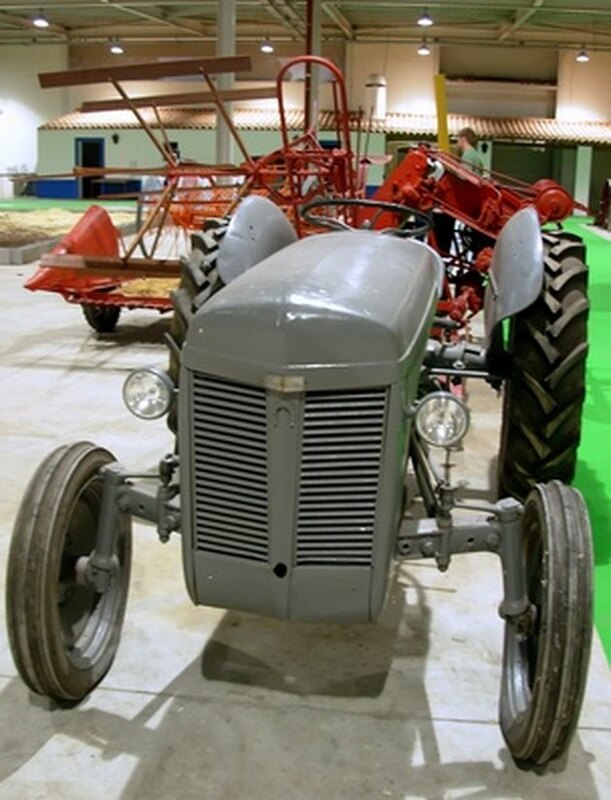 The Ford 8n tractor remains one of the most popular small tractors of all time. Manufactured from 1939-1952, many of these well-built machines are still in working order today. While there are differences depending on the year the tractor was built, the basic driving operations are the same. Depress the clutch under your left foot and hold one of the two brakes with your right foot. Put the tractor into neutral. Set the hand throttle to about 1/3 with your right hand. Pull the choke half way and press the starter for about three seconds. If the engine doesn't fire, depress the choke and try again. The engine should start after a few tries. Allow the engine to warm up for a couple of minutes before driving. Check to make sure any bucket or implements are off the ground. The bucket is raised hydraulically with a lever on your right. Also, check the lever beneath the seat on the left to make sure the power take off (PTO) is turned off. Put the tractor into gear and ease off the clutch. Pull down on the throttle to increase the engine RPMs, or up to reduce the engine speed. To stop the tractor, depress the clutch and press on one or both of the brake pedals with your right foot. The forward pedal operates the left rear wheel's brake, where the rear pedal operates the right rear wheel's brake.